MainOpEdsWho are the Torah Giants (Gedolei haTorah)? Who are the Torah Giants (Gedolei haTorah)? They need not offer detailed plans for immediate implementation, but they must set a vision and offer direction. It is important to note that merely addressing these questions is not sufficient, because it would be easy to settle for trivial answers offering technical ways in which an individual Jew could survive the changes and revolutions facing the nation and world in modern times. To accomplish this necessitates expertise, and the more complicated the situation, the greater the amount of competence required. But this does not demand gadlute beTorah. Even among those who understood Rav Kook’s teachings, there are two main distinctions. There are those who accepted his general instructions regarding the importance of Eretz Yisrael in our times – the generation of kibbutz galyiot (Ingathering of the Exiles) and atchalta degeulah (beginning of the Redemption). Also, they agree with his teachings in relation to science and work, and the fundamental attitude towards Jews who abandoned Torah but identify with the values of the nation and the Land, or universal values. Owing to their identification with his teachings and luminous character, such talmidei chachamim merit being spiritually connected to the third level. Similarly, Rabbi Kook’s great disciple, Rabbi Yaacov Moshe Charlop zt”l, wrote in his book “Mayanei Hayishua” (Chap. 9), that at the present time, Gedolei haTorah must engage in the general rules of the Torah. In such a situation, although the rabbinate plays a very important role in managing these affairs, we are no longer talking about a supreme, moral, and spiritual Torah authority of mara d’atra (lit. “master of the house,” i.e. Israel's authority in Jewish law). 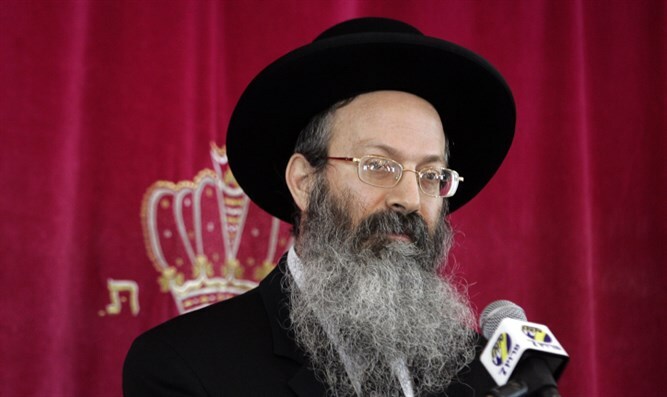 Rather, the role of the Chief Rabbi became at best similar to that of a director of religious affairs, and at worst – the spokesperson for religious affairs. This article was translated from Hebrew weekly Besheva.